Prince George is the hub of northern British Columbia, a natural meeting place for rivers, highways, and -- most importantly -- people! This thriving city offers exceptional value, unparalleled outdoor recreation, and all the comforts and amenities necessary to host an unforgettable event. 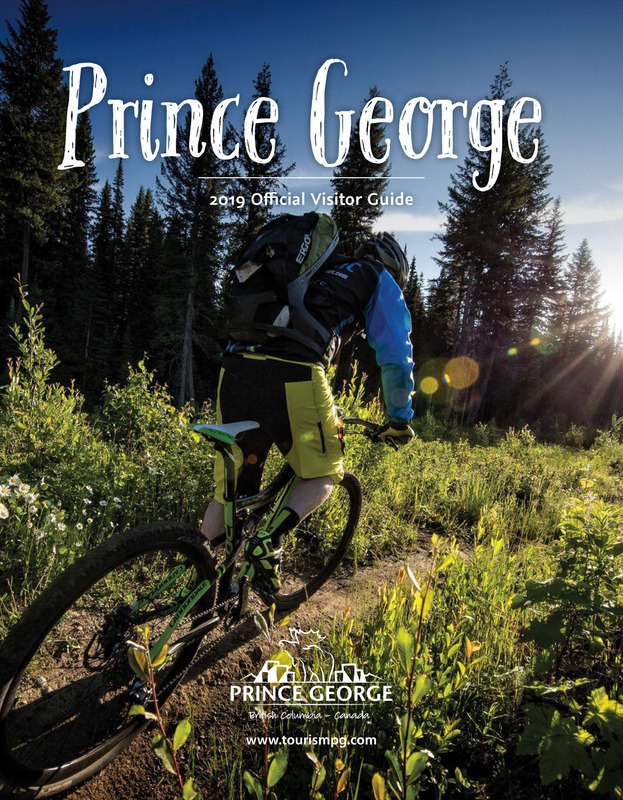 You’ll be surprised when you discover just how much Prince George has to offer - A premier meeting destination! Services Prince George Civic Centre Venues Show Your Badge	Why PG? Interested in receiving quotes from accommodation properties? Let us know what you need. We’ll build the RFP and forward it out on your behalf. Bags with visitor guides and maps. A perfect way for sponsors to include giveaways! We have a customizable bid template and can assist with the development of an eye-catching bid package. Need to organize a familiarization tour for an upcoming event or bid opportunity? Let us know; In many cases we can take care of planning and also cover costs. We specialize in letting people know what they can do in PG. Let us add value to your event by providing custom itineraries for your delegates. We support you and your events. Let us shout it from the rooftops! Looking for catering, rentals, or a photographer for that reception? Let us know, we’ll connect you with our many talented and professional local suppliers. Add eye-catching photos to your pre-conference emails, guaranteed to boost interest! participants know about everything there is to do in our fair city. Want to know what everyone thought of your event? Let’s ask! We’ll create a custom survey that you’ll be able to email to delegats and let the feedback roll in. Ready to get started? Call Shirly at 250-649-3203 or send us an email and let’s start planning! The Prince George Conference & Civic Centre is northern BC's flagship conference facility. Home to over 22,000 square feet of meeting space, eleven meeting rooms and innovative catering, this convenient downtown venue is within a short walk to major hotels, restaurants, and shops. Space versatility and flexibility make it an ideal venue to host conventions, tradeshows and other events. Tourism Prince George is excited to announce the Show Your Badge program. This program allows delegates and athletes of participating events in Prince George to receive discounts at businesses around our community. As the regional centre for shopping, the arts, sports, and meetings, Prince George has a lot to offer! The city is extremely accessible by plane, train, and automobile with direct flights from nine destinations in 100 minutes or less. Prince George is home to a purpose built convention centre with over 40,000 square feet of flexible space, as well as excellent and versatile meeting space in hotels, post-secondary institutions, attractions restaurants, and community halls. With over 2,000 rooms, Prince George has accommodations to meet everyone’s personal style and budget. Let our wide-range of experienced service providers show you how easy it is to get the tailored and unique experience you’re looking for. In Prince George, urban sophistication and spectacular wilderness live side-by-side. Ours is the only community in northern BC that offers big city amenities within minutes of pristine forests, scenic mountains, and thrilling outdoor adventure. Prince George has a great track record of hosting regional, provincial, national, and international events. We have a reputation for warm northern hospitality and we’ll give you the red carpet treatment!